With integrated production of flour milling and noodle making, we will deliver noodles that are always delicious. Kin Tobi Shiga's "Kin Tobi Men" noodles are manufactured under consistent control – from the selection of the raw-material wheat and milling of the flour, to the production of the noodles. Our dried noodles and semi-raw noodles are produced using only freshly-milled, quality wheat flour, carefully milled in-house, with proven techniques and skills built up over more than 60 years, and proprietary noodle making methods learned from hand-made udon noodles, and they feature the sweet aroma and rich flavor unique to wheat. "Kin Tobi Men", with its delicious taste and quality, has won awards for various products, starting with the wining the Monde Selection Gold Award in 2010. With our accumulated traditions and proven techniques, we will continue to deliver the safe and reliable, delicious taste that never changes. Safe and secure noodles production, with thorough quality control. At our ISO9001 certified flour milling factory, we practice thorough quality control. We are constantly making improvements, and make safe noodles production our number one priority. 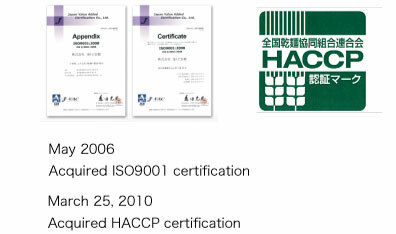 Moreover, Kin Tobi Shiga Co., Ltd., is an HACCP (internationally recognized food safety management system) certified dried noodle factory. Devoted to udon flour since our inception in 1917. 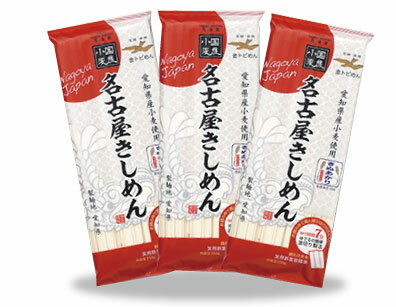 We continue to produce high-quality udon flour. Even today, as we have shifted from stone hand milling at our inception to modern roll-type milling, Kin Tobi Shiga is still particular about milling flour gently, slowly and carefully. 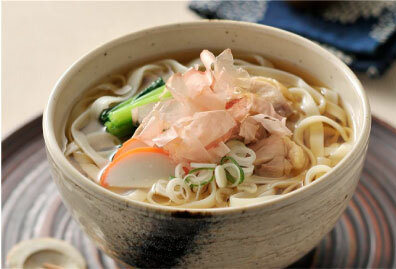 By suppressing damaged starch in this way, the natural fragrance of the wheat is not lost, and it is possible to produce wheat flour that takes water slowly and is perfectly suited to hand-made udon noodles. Wheat quality varies from harvest to harvest; but Kin Tobi Shiga, with data accumulated over around 100 years and careful craftsmanship, always reliably delivers the finest flour. 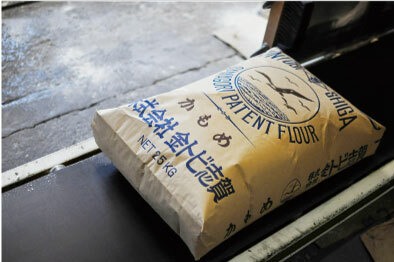 Having building trust with reliable quality, our flour continues to be the favorite of many famous handmade udon stores, that have been using it for many years. There are three main types of flour: strong, medium and weak. 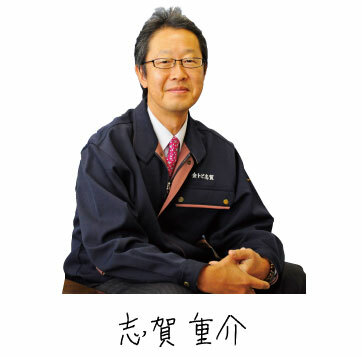 Kin Tobi Shiga, has set up its factory diagram to mild only udon flour (medium). By specializing in this way, it is possible to bring out the characteristics of wheat when it is turned into flour and the flavor of the ingredients, to their fullest. We are a few one of only a few "Udonko-ya (mills specializing in flour for making noodles)" in Japan. 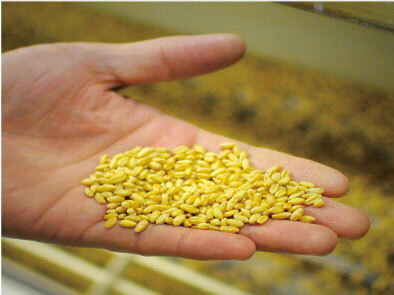 In addition, our "Kin Tobi Men" is carefully made from 12,000 grains of wheat, milled grain by grain into flour in-house. Since the time our founder used a stone hand mill, it has been highly praised for its "sweet wheat fragrance", "savory flour" and "stable quality", and has supported the kishimen noodles and miso-nikomi noodles of Aichi's "Nagoya-meshi" food culture behind the scenes. Today, we also make use of these techniques in products other than noodles, such as pancakes, scones, waffles, dumpling wrappers, Chinese steamed buns and dorayaki, expanding the applications for “udonko (udon flour)” beyond its traditional scope. We contribute to the local community with our flour and noodles, and in response to the trust of our customers, we will deliver delicious smiles to the world. In 2007, Kin Tobi Shiga Co., Ltd., became the first company in the flour-milling/noodle making industry to be certified as an "Aichi Brand Company" – a certification given to outstanding manufacturing companies in Aichi Prefecture. In addition, in 2010, we are also certified as a "Family-friendly Company", that actively works to harmonize the work and lifestyle of its employees. We will continue our efforts, aiming to be an even better company for people and the local community. 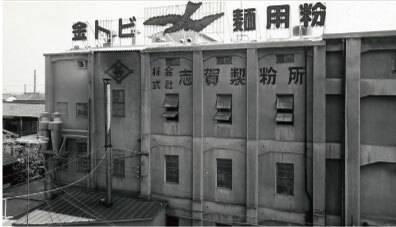 Flour products named "Kin Tobi brand "
Renamed "Yaotomi no Ito" to "Kin Tobi Men"
Merged with sales company Kin Tobi Shokuhin, changed company name to "Kin Tobi Shiga Co., Ltd."
Completed construction of new noodle factory "Kaito"
Our founder, Hachigoro Shiga, was born in Nishi-ku, Nagoya City, in 1893. 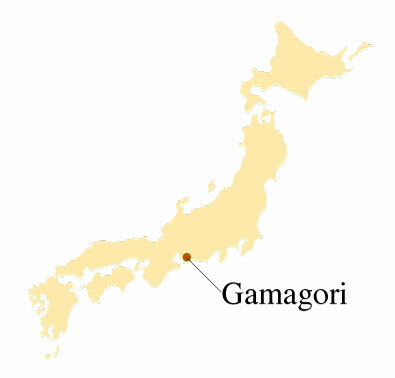 In 1917, he moved to Gamagori with his wife and children and started a flour milling and noodle making business. 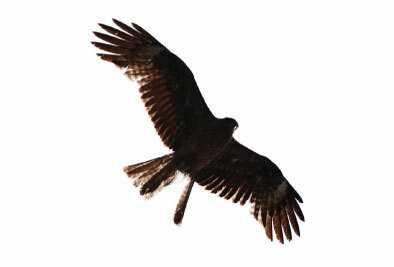 Gamagori looks out on Mikawa Bay, and you can often see flocks of kites (Tobi) that fly on the sea breeze. Hachigoro dreams for his business were by sight of the birds soaring high in the sky and he decided on the "Tobi mark" for his flour. Further inspired by the "Kin no Shachihoko", pride of his hometown of Nagoya, and the history of the Emperor Jinmu's "Kin Tobi", he named his highest quality flour "Kin Tobi" and put it on the market. In particular, Hachigoro's dried noodles, which were highly praised for their excellent flavor, came to be known as "Kin Tobi Men", and even today as we celebrate the 100th anniversary of our founding, they continue to be loved by many of our customers. 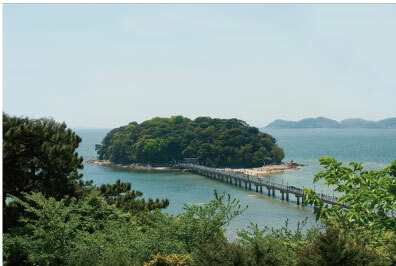 Nature rich tourist city "Gamagori" is surrounded by green mountains and the tranquil sea of Mikawa Bay. There are four hot springs in the city, each with a different atmosphere, and area has been visited as a resort by many people since ancient times. The scenic views of the sea and mountains are reminiscent of Kamakura, and the calm and quiet sea is like the Seto Inland Sea. Aichi prefecture has long periods of sunshine, suitable for cultivating wheat, and it ranks fifth in Japan for production volume.